I’m posting this to provide general ideas for fixing something that had fallen apart, without having to use the time and money involved in procuring parts. 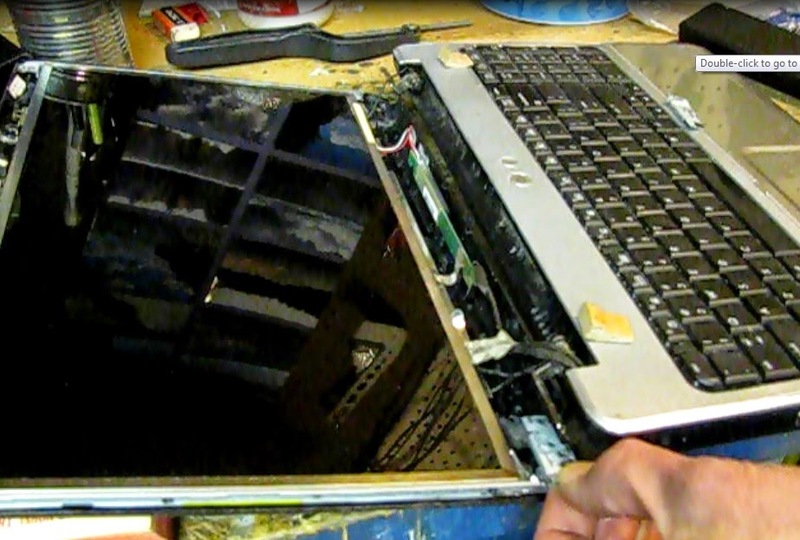 This example is of a two piece laptop computer. I had an odd and unexpected problem with my 6 year old HP G-60 laptop computer. 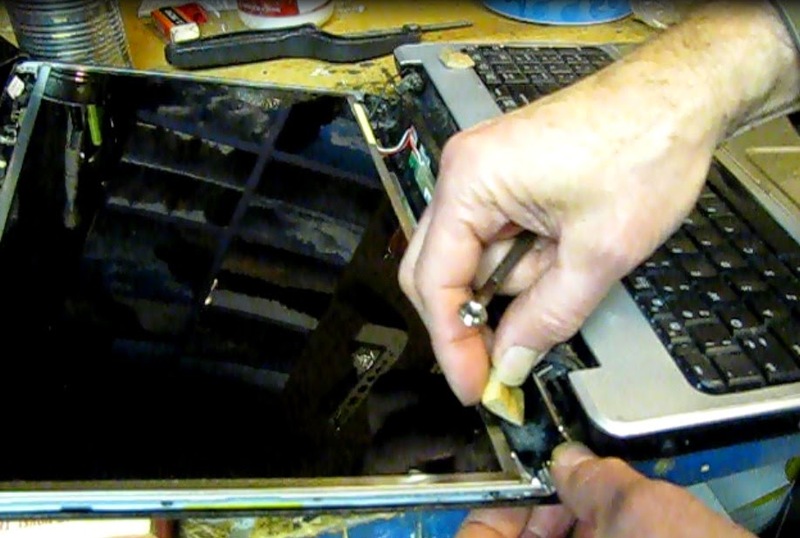 It seemed surprising that a perfectly operating workhorse of a machine could suddenly need replacing when the screen broke free from the computer part of the machine. Sure I could put in it in some permanent location and use it as a desk top, but portability is why I had the laptop. And I had a trip coming up and I needed to take it along. Dis-assembly soon revealed that the plastic mounts that held the female machine threads had snapped off the big screen back piece, the one with the HP nameplate. Also, one of the thin metal mounts that screw into the left and right of the screen broke at a weak point in the corner. So at least two parts were needed, and everything that mounts on the cover would have to be carefully removed and installed on the new cover. It bothered me that this could happen, that these parts were that weak to start with and I would be putting the very same parts back into it. So I devised a different way to fix it, with materials I had around the house. I would fix it in a way that was stronger than the original design, though perhaps not as aesthetically pleasing. My first plan called for fashioning some spacers or bushings out of wood, sized to fill the space where the original mounts had been in the monitor back cover. I tried this, gluing the wood pieces with epoxy and putting a tiny screw through the hinge and into the wood. This was promising... for all of two days. The epoxy wasn't up to the stresses involved when that tightly wound hinge opened up. It pulled the glued-in block off and worse: another original molded mount broke as well. In the progress of a repair, sometimes it gets worse before it gets fixed. I decided to drill a hole right through the hole in the hinge, the wood block (now unglued) and the back cover of the monitor. Then I cut a small piece of sheet metal that would lay flush on the outside of the back cover. I drilled two holes through that matched the previously drilled holes. To finish the repair off I ran two 4-40 machine screws through the holes and secured them with a nut and lock washer. This turned out to be a repair that would last. In fact I'm writing this post a month later with the very same, fully functional laptop. The outside view of the repair. On the right side only one mount was broke, so I used one screw.